Slots for talks are open in 10 minute intervals. You can pick one slot to do a 7 minute talk with 3 minutes for questions or pick two slots for a 15 minute talk with 5 minutes for questions. Breakout sessions are times to discuss a topic with a group of your peers that you may know a bit about but would like to dig into more. Past topics for breakout sessions have included UX/Design Thinking, Vue.js and Institutional Repositories. There are currently five spaces booked for breakout sessions but can book more depending on interest. VOTE NOW for new Steering Committee members! The election for 2019-2021 Steering Committee members is now open. Any CAA members in good standing may vote, and the election is open until Thursday, March 21, 12:00 pm CST. You can find out more about the candidates by reading their statements of interest. Check your email for a link to your ballot! If you cannot find the email in your inbox, please check your spam filter. If you have election questions, feedback, or want to be removed from future ballot lists, please let us know: info@chicagoarchivists.org. Consider running for Steering Committee election - Submission Deadline Tomorrow! During CAA’s Steering Committee election, we will share comments from current Steering Committee members about their work with CAA. Today we hear from Nathalie Wheaton. Nathalie was elected to a 2018-2019 term and currently serves on the Steering Committee as the Special Events Committee Liaison. 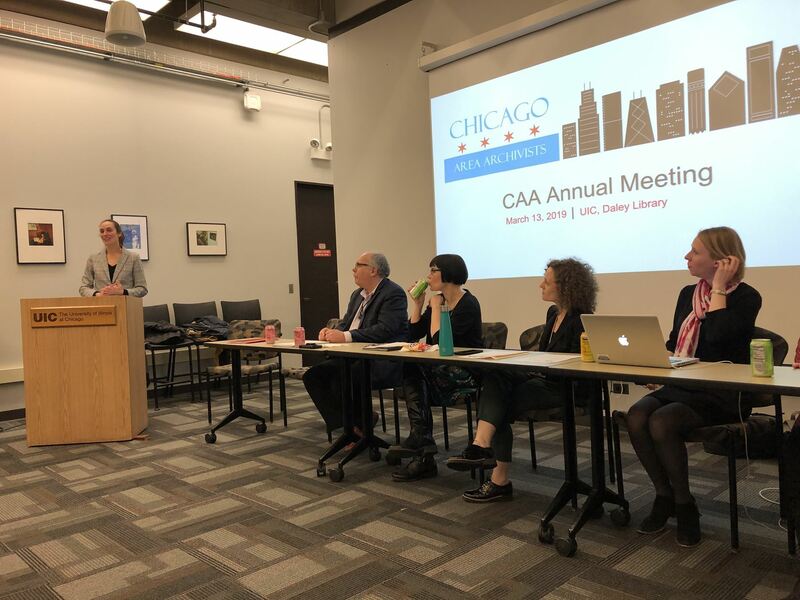 After serving on the Chicago local arrangements committee for last year’s Midwest Archives Conference Annual Meeting, I welcomed the opportunity to keep that camaraderie going by serving on CAA’s Steering Committee. 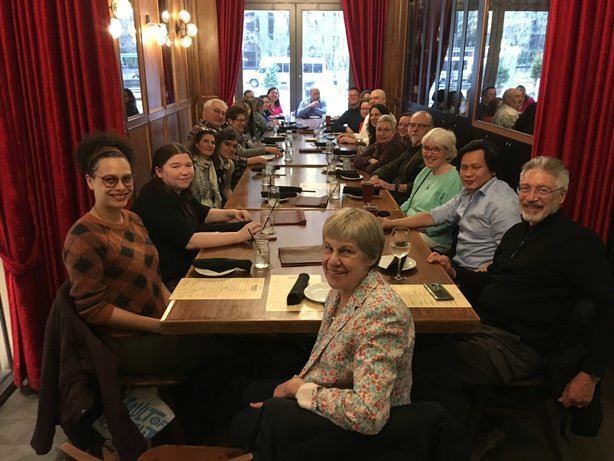 Serving on the Steering Committee has been especially rewarding for me as a lone arranger because I have enjoyed being part of a team of archivists making important decisions and plans. 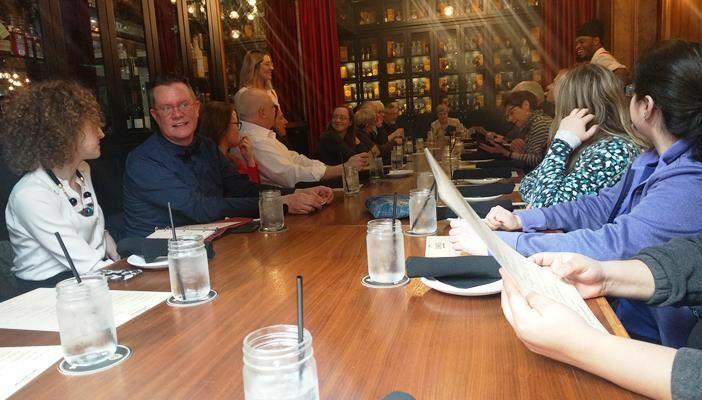 Whether you join the Steering Committee with years of archives or CAA experience, or you are just getting your feet wet, there is room at the table for a variety of perspectives and viewpoints and ideas. The deadline to submit your Statement is Friday, March 1. 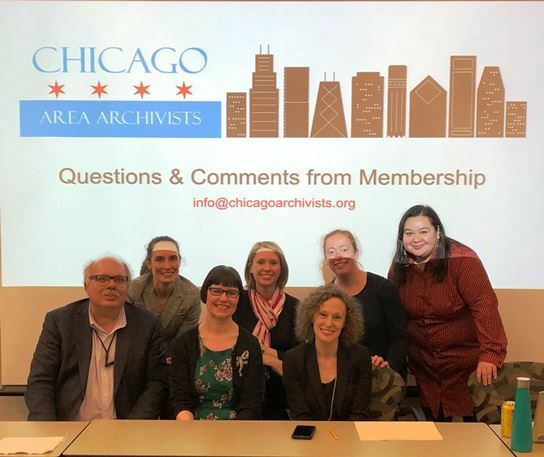 Service on the Steering Committee is open to all CAA members in good standing.To volunteer, submit a brief (1-2 paragraphs) Statement of Interest outlining your background and motivation for serving on the Steering Committee to info@chicagoarchivists.org. Please include your full name, title, place of work (if applicable), and preferred contact phone and email address. 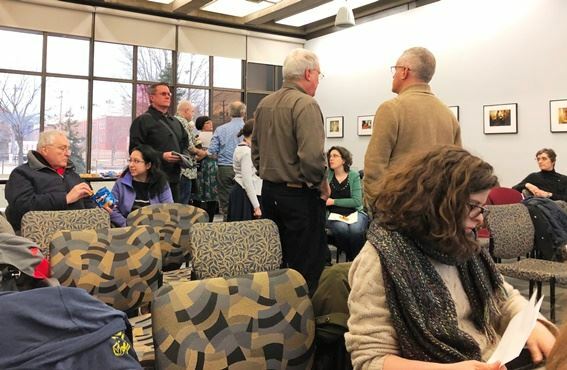 Statements of interest will be distributed to CAA members prior to the Members Meeting on March 13 and candidates will also have an opportunity to introduce themselves in person at the meeting. Candidates for the 2019-21 term will be elected by a vote of CAA members cast electronically after March 13. Thanks to the support and generosity of the Chicago Area Archivists community, the Archives and Archivists of Color Interest Group raised $1600 and are able to support the travel and participation of two early career colleagues to this year's MAC conference in Detroit. Kheir Fakhreldin - Kheir is a 2011 graduate of the University of Michigan's School of Information program. He currently works at the Newberry Library and at WBEZ. Kheir has found the CAA community helpful as he pursues his career in archives and hopes that "...by attending the Midwest Archives Conference, I will be able to meet more archivists of color as well as non-minority archivist allies who are working toward making our historical record reflect American cultural diversity." Rebekah McFarland - Rebekah is a 2014 MLIS graduate of Dominican University. She is currently archivist for Sisters of the Living Word. This will be her first MAC conference and already she has jumped in with both feet! Look for her among the panelists on the Imposter Syndrome session. Thanks again to everyone who contributed towards this award. Your generosity and participation has supported five colleagues' attendance of MAC's annual conference in the last two years. If you're headed to MAC in Detroit, please be sure to say hello to Kheir and Rebekah. During CAA’s Steering Committee election, we will share comments from current Steering Committee members about their work with CAA. Today we hear from Andrew Bullen. Andy was elected for a 2017-2019 term and currently serves on the Steering Committee as the Treasurer. During CAA’s Steering Committee election, we will share comments from current Steering Committee members about their work with CAA. Today we hear from Ashley Gosselar. Ashley was elected for a 2018-2020 term and currently serves on the Steering Committee as the Outreach Liaison and as a member of the Strategic Plan Working Group. My CAA story is probably similar to many others. I began as an out-of-town listserv lurker then officially joined the organization when I moved to Chicago. I soon volunteered for a subcommittee and have happily served on various working groups. The comradery among members and the chance to use my professional skills to give back to my community have continually prompted me to say yes to CAA. Does this sound like you, too? If so, I encourage you to think seriously about serving on CAA's Steering Committee. The opportunity to see, understand, and influence the big picture of a professional association I care about is very rewarding. It is a pleasure to serve alongside archivists who also care deeply about CAA, and I often have the privilege of saying yes to CAA members who bring creative and thoughtful ideas to the organization. Supporting what works in our organization while grappling with our growing edges is humbling and exciting. Serving on CAA's Steering Committee is a wonderful opportunity to think and talk deeply about our mission and to guide our strategic directions. I invite you to say a big, hopeful yes to CAA's future by joining the Steering Committee.